Prior to Ubisoft's E3 2012 press conference, a sneak peak of the all-new Splinter Cell: Blacklist has been unveiled during Microsoft's, which features Kinect voice integration (we'll talk about it shortly). 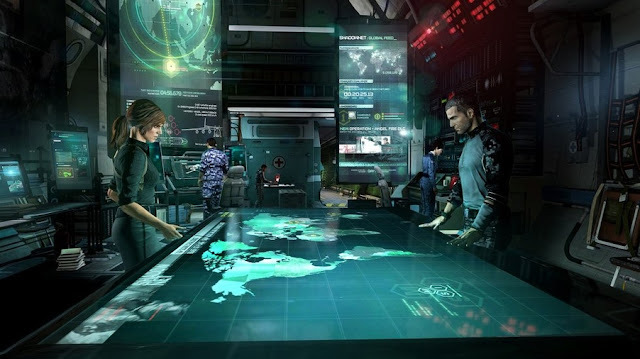 The preview showed a very quick and fluid gameplay with an array of abilities and slow-mo action, with settings taking place on the Iran-Iraq border, where the protagonist Sam Fisher is on a mission to capture a terrorist leader (yet again..) to prevent any further attacks from its militant rebels Blacklist. From the gameplay, besides it being mostly FPS, it is in fact very Assassin's Creed 3 like. Splinter Cell: Blacklist will feature a single-player campaign, co-operative, and competitive multiplayer with a certain Spies vs Mercs mode. It is slated for a spring release in 2013. Expect more details at the Ubisoft E3 press conference next.